I’m hoping I could ask for some help regarding lighting. I’m currently working on a project that will involve light and volumetric shadowing. Ideally the work in progress project involves creating a beam of light hitting object as a result creating volumetric shadowing…for now I’m just working on still images and eventually will do some animation. 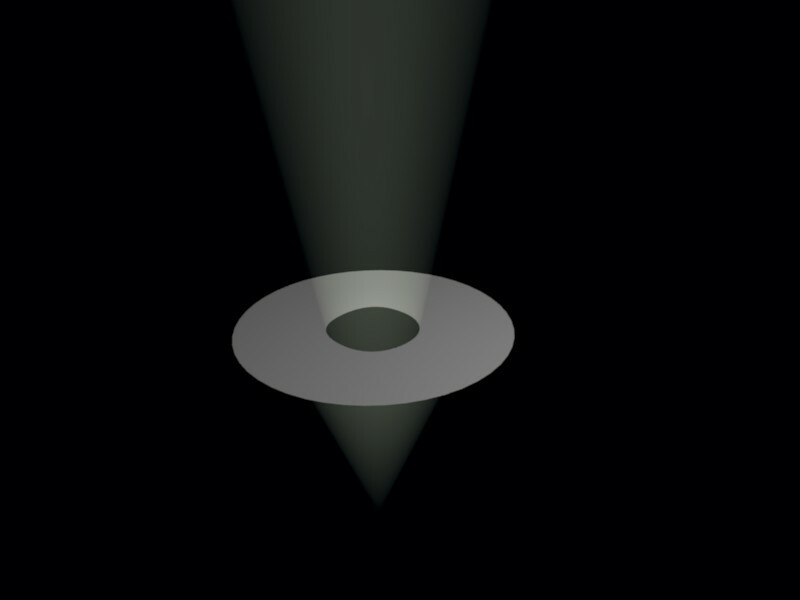 Normally you can add a lamp (Spot light), turn the Halo option on in the shadow and spot section and increase the number of Halo Steps and viola…you get volumetric showing produced by the object. My questiois this…is there a way I can control the shape of the light…by this I mean I dont want a cone effect in essence a spot light… what I want is to produce a beam of light that will be pointed toward the object and then produce the volumetric shadowing. Any help would be greatful. PS. To clarify the above I have attached an image to what I would like to achieve. you can use a mask to shape the beam. create a plane mesh, and cut out a hole of the shape you want. parent it to the light. you can make the plane invisible, but still affecting the light. a bezier circle with a hole might be better for some hole shape types. this is similar to physical studio lighting techniques. also, for that effect, you might look into using cylinders with blend textures affecting emit and alpha for a more controllable effect. Ok I think I made some kinda of advancement…with zdk1’s advice, however is there a way to better control the shape of the emitting light. in my current attached imaged the light is still emitting outward which is what I want to prevent…Ideally i would like for the light to retain its shape just like how its doing it the very first image attached to this thread.